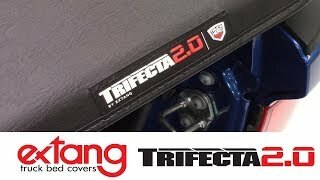 Come inside the Total Truck Centers™ garage as we take you through the installation of some of today’s hottest truck accessories In this episode, we welcome Todd Lindblade from Extang to the garage and we talk about their newest cover: the Trifecta 2.0. Want to check out more about Extang? 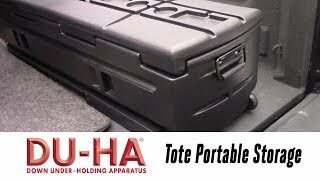 Come inside the Total Truck Centers™ garage as we take you through the installation of some of today’s hottest truck accessories In this episode, we welcome Dan Ouren from DU-HA to our garage and install their Tote on a 2007 Chevy Colorado. Want to check out more about DU-HA? Via mail-in form. Offer good July 1–31. Click image for printable form and complete details! <p>Via mail-in form. 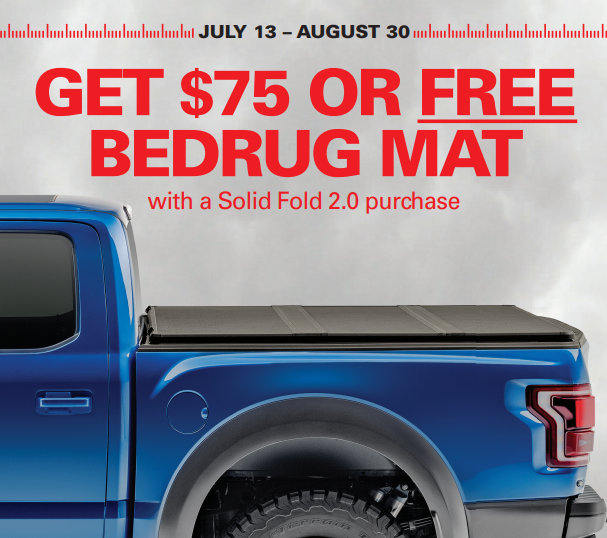 Offer good July 1–31. Click image for printable form and complete details! Via mail-in form. Offer good July 13 to August 30 for US residents only. Click image for printable form and complete details! <p>Via mail-in form. Offer good July 13 to August 30 for US residents only. Click image for printable form and complete details! If you’re like most shop owners, you want to stay current with what’s going on in our industry, but you also don’t have a lot of time. That’s where Total Truck Centers™ email newsletters can help. 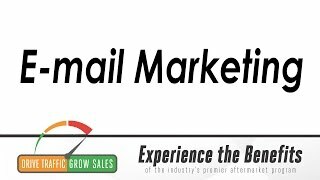 We offer two types of email designed to communicate important policies and news that can affect your business. And we keep it short and sweet, so you can get what you need and get on with your day. 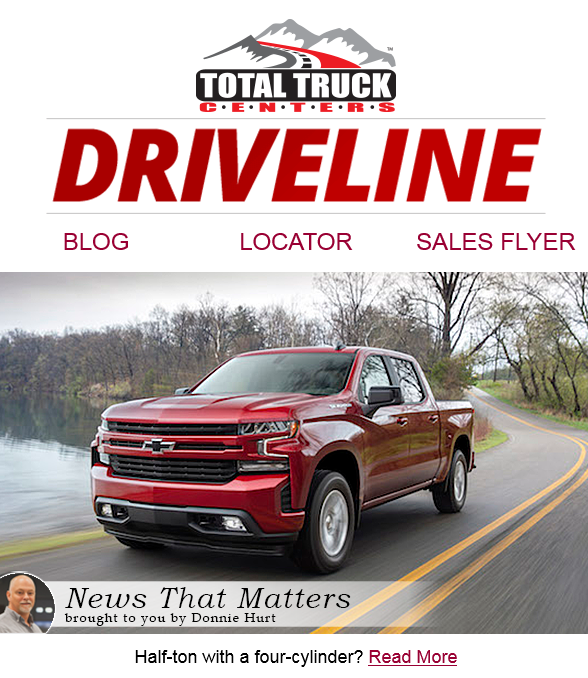 Delivered once a week, Driveline™ is packed with industry news, new products, rebates and offers, and videos to make you to the most knowledgeable retailer or installer in your local area. Driveline™ emails are also easy to read on your phone if you’re on the go. Sign up for Driveline™ today! Sent as needed, Pulse™ delivers special news direct from our sponsoring manufacturers. You’ll learn about authorized dealer programs, MAP pricing changes, rebates and displays, training opportunities, and more. Pulse™ emails are available ONLY to verified retailers; click here to sign up for free! Stay connected and beat the competition! Via mail-in form. Offer good July 1 to September 30. Click image for printable form and complete details! <p>Via mail-in form. Offer good July 1 to September 30. Click image for printable form and complete details! Get a 5% cash rebate* on a single-invoice Rugged Ridge, Omix-ADA, Alloy USA, or Outland product purchased at an authorized retailer from January 1 to December 31, 2018. <p>Get a 5% cash rebate* on a single-invoice Rugged Ridge, Omix-ADA, Alloy USA, or Outland product purchased at an authorized retailer from January 1 to December 31, 2018. 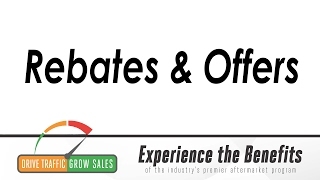 Rebates and Offers: Close Sales with Great Deals! Total Truck Centers™ wants you to have every edge in your local market. That’s why we keep an active list of rebates offered by the industry’s biggest and best manufacturers. Designed to help you sell more, these consumer specials can be the final piece you need to close a sale with a customer. To view all current offers, visit TotalTruckCenters.com/rebates. Listed alphabetically by manufacturer, each banner leads to a PDF of its mail-in redemption form, so you can read the terms and conditions and even print it out for your customers to take home with them. It doesn’t get any easier than that! 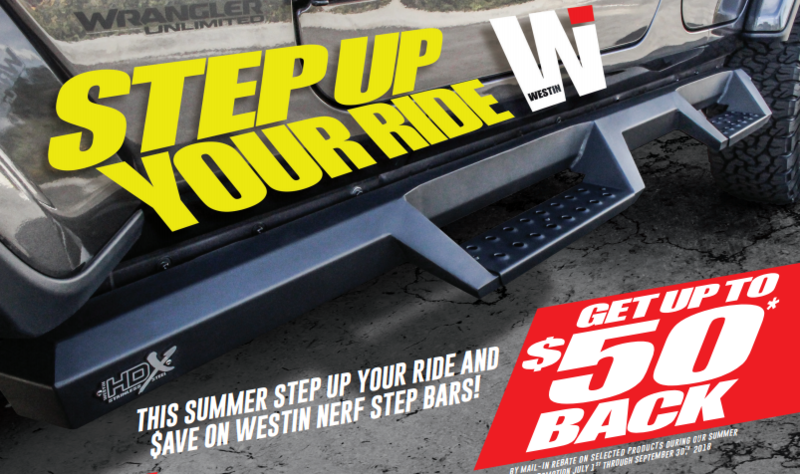 We’re adding rebates and special offers all the time. So check back often to see what’s new! Close sales with special offers. Print out rebate forms to sweeten the deal.